What new laws did Alberta’s NDP Government pass in 2015? The fall session of the Alberta Legislature ended last week and MLAs will now spend the next few weeks working in their constituencies until the Assembly returns in early 2016. The Assembly passed nine pieces of legislation introduced by Alberta’s New Democratic Party government in its first full session of the Legislature since it formed government. The first four bills introduced by the government reflected key promises made by Rachel Notley‘s NDP during the 2015 election. 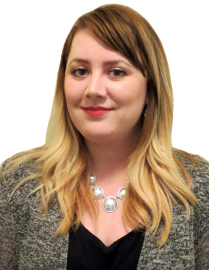 One private members bill, introduced by Independent Calgary-Bow MLA Deborah Drever, was passed by the Assembly (a rare feat for opposition MLAs). Introduced by Justice Minister Kathleen Ganley, Bill 1 banned corporate and union donations to provincial political parties in Alberta. The bill received royal assent on June 29, 2015, but was made retroactive on June 15, 2015. This new law was a major blow to the Progressive Conservative Party, which had become accustomed to relying heavily on corporate donations to fund their campaigns and operations. The ban was not extended to municipal elections. 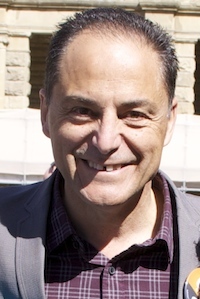 Introduced by Finance Minister Joe Ceci, Bill 2 eliminated Alberta’s 10 percent flat tax and introduced a progressive taxation system with five rates of personal income tax up to 15 percent for income above $300,000. Bill 2 also increased Alberta’s corporate tax rate from 10 percent to 12 percent, bringing our province in line with Saskatchewan and Manitoba. Despite the increase, tax rates in Alberta still remain lower than what existed during much of the time Ralph Klein served as Premier. Introduced by Mr. Ceci, Bill 3 reversed funding cuts made to education, health care, and human services by the PC government before the May 5, 2015 election. Introduced by Mr. Ceci, Bill 4 repealed and replaced the Fiscal Management Act and introduced requirements in a Fiscal Planning and Transparency Act, which include presenting government finances in a three-year fiscal plan and the establishment of a new debt cap based on a debt-to-GDP ratio of 15 percent. Introduced by Jobs, Skills, Training and Labour Minister Lori Sigurdson, Bill 6 introduced occupational health and safety and mandatory Workers’ Compensation Board coverage for employees of farming operations. Alberta is currently the only province in Canada without OH&S laws and employment standards coverage for farm and ranch workers. Amid protests by farmers and ranchers, the government introduced amendments to exempt farm and ranch owners and their families from the bill. This was undoubtably the most controversial legislation passed by the NDP government in 2015. Introduced by Ms. Ganley, Bill 7 amended the Alberta Human Rights Act to add gender identity and gender expression as expressly prohibited grounds of discrimination. Introduced by Education Minister David Eggen, Bill 8 restructures collective bargaining between teachers, school boards and the government. The bill initially would have had the government be the sole party negotiating with the Alberta Teachers’ Association on matters that should be bargained centrally versus locally but an amendment to the bill allowed a new employer bargaining association to negotiate with the ATA to decide. Introduced by Mr. Ceci, Bill 9 provides budget funding authority to the Government of Alberta and the Legislative Assembly for the 2015-16 fiscal year. Introduced by Ms. Drever, Bill 204 amended the Residential Tenancies Act to allow victims of domestic violence to end their housing leases early and without penalty in order to leave unsafe home environments. Lethbridge-East MLA Maria Fitzpatrick bravely stood in the legislature to share a powerful story about her personal experiences with domestic violence. This entry was posted in Alberta Politics and tagged Alberta Corporate Tax Rate, Alberta Human Rights Act, Alberta NDP, Alberta Personal Income Tax Rate, Alberta Progressive Conservative Party, Alberta Teachers' Association, Banning Corporate and Union Donations, Calgary-Bow, David Eggen, Deborah Drever, Farm and Ranch Safety, Joe Ceci, Kathleen Ganley, Lethbridge-East, Lori Sigurdson, Maria Fitzpatrick, Rachel Notley, Ralph Klein, Sunshine List on December 14, 2015 by Dave Cournoyer. Alberta’s NDP government has been in full damage control mode since Bill 6: Enhanced Protection for Farm and Ranch Workers Act exploded in their faces late last month. While attempting to bring our province closer to national standards on farm safety – Alberta is currently the only province without occupation health and safety laws and employment standards coverage for farm and ranch workers – the bill sparked two large protests at the Legislature and continues to bring out thousands of agitated rural Albertans to government-sponsored town-hall style consultation meetings across the province. Bill 6 has been perceived as a threat to what many rural Albertans see as a traditional way of life and business on the family farm, and inept communications by the government only fuelled claims that this was the intention of the bill. Taken by surprise, NDP cabinet ministers fanned out to the town hall meetings in an attempt to assure angry rural Albertans that they are listening to their concerns. 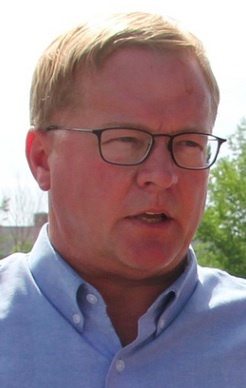 While the Wildrose, PC and Alberta Party MLAs have taken positions against Bill 6, the biggest advocate for the bill outside of the mostly silent NDP caucus has been Liberal party interim leader David Swann, a Calgary MLA and former medical officer of health of the now defunct Palliser and Headwaters health authorities in southern Alberta. Returned from her trip to the Paris Climate Change Conference, Premier Rachel Notley published an open letter to reassure the media and the public that this bill was about farm safety, not about destroying the family farm. 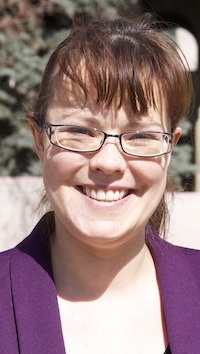 Lori Sigurdson, Minister of Jobs, Employment and Labour, introduced amendments to Bill 6 in the Legislature this week. The amendments, which “make clear WCB coverage would be required only for paid employees, with an option for farmers to extend coverage to unpaid workers like family members, neighbours and friends” and “make clear that Occupational Health and Safety standards apply when a farm employs one or more paid employees at any time of the year,” appear to address two of the main criticisms of the bill that many opponents and critics (including myself) have raised as concerns. 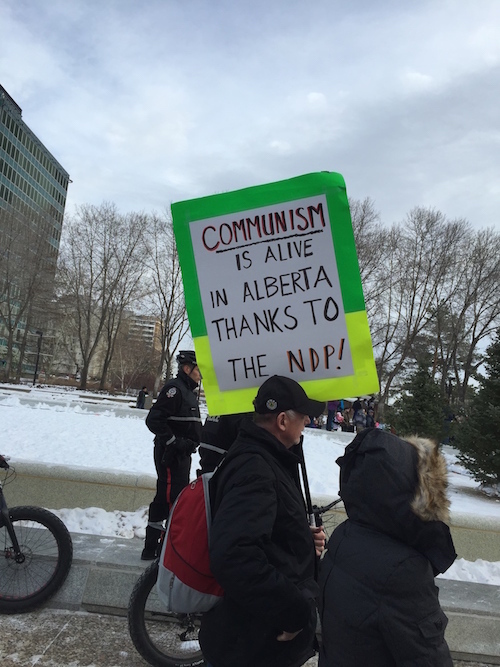 Aside from legitimate criticisms that rural Albertans were not properly consulted before Bill 6 was introduced into the Legislature, some opponents of the government have tried to spread the kookiest of conspiracy theories about the NDP’s proposed farm safety law. mark the beginning of a Stalinist farm collectivization program. None of these outlandish claims are true. But while these claims largely emanate from the anonymity of Twitter and the internet, other oddball claims are actually being made by opposition MLAs. In the Legislature on Dec. 1, Rick Strankman, the Wildrose MLA for Drumheller-Stettler, suggested that Bill 6 could lead to OHS inspectors confiscating privately owned firearms if they were found to be improperly stored on farms. Mr. Strankman spared fellow MLAs from hearing his best Charlton Heston impersonation. But perhaps the kookiest of conspiracy theories comes from Progressive Conservative Party interim leader Ric McIver, who is reported to have claimed Bill 6 was part of the NDP plan to turn Alberta into a “Socialist Disneyland.” According to Metro Calgary, Mr. McIver continued in length to praise the conservatism of Saskatchewan, while choosing to omit the fact that our neighbour to the east has a 5 percent provincial sales tax, a 12 percent corporate tax rate, crown corporations for insurance, power and gas, and… farm safety legislation. Alberta’s NDP government was caught totally off guard by opposition to Bill 6 and has helped fuel the backlash by being slow to react to concerns about changes to farm safety laws. For this, they deserve to be criticized. This is an important lesson for the new government, and one they should recognized as being lucky took place in the first year of their four year term in government, and not six months before the next election. Bill 6 is currently in second reading in the Legislature. This will not be the last time the new government will need to challenge the status quo in rural Alberta. The government’s next challenge to rural Alberta will likely be related to province’s longstanding grazing lease program, which the auditor general reports has cost the government an estimated $25 million in annual revenue and is currently under review. Changes to Alberta’s electoral boundaries, which could be redistributed before the next election to reflect changes in Alberta’s population, would likely result in a reduction of rural constituencies and an increase of urban constituencies in the Alberta Legislature. This entry was posted in Alberta Politics and tagged Alberta NDP, Bill 6: Enhanced Protection for Farm and Ranch Workers Act, Charlton Heston, David Swann, Drumheller-Stettler, Family Farm, Farm Workers, From my cold dead hands, Grazing Lease Program, Lori Sigurdson, Occupational Health and Safety Act, Rachel Notley, Ranch Workers, Ric McIver, Rick Strankman, Socialist Disneyland, Stalinist Farm Collectivization, Wildrose Party on December 8, 2015 by Dave Cournoyer. Will the NDP save or shutter Athabasca University? Residents of one northern Alberta community want to know what Alberta’s new New Democratic Party government has planned for their local university. Athabasca University, the province’s largest distance-learning institution employs more than 400 people in Athabasca, making it the largest employer in the town of 3,000. There is significant fear in the town about the consequences of the university closing or relocating to a larger urban centre, like Edmonton. In recent years, Athabasca University has been the source of much controversy, ranging from illegal political donations made to the Progressive Conservative Party to claims of financial insolvency. In 2012, staff called for then-university president Frits Pannekoek to retire, citing questions around illegal donations to the PC Party and the institution’s finances, including the depletion of its reserve fund. In 2013, four of the institution’s vice-presidents and associate vice-presidents had their positions apparently terminated without explanation to the public shortly after the Public Accounts Committee called the university out for its fiscal mismanagement. And after denying there were financial problems in 2012, the institution cut around 100 positions in 2013, citing financial difficulties. During those cuts, sources in government reported that discussions were taking place to merge parts of Athabasca with the University of Alberta, talks that then-PC cabinet minister Thomas Lukaszuk said he was not aware of. 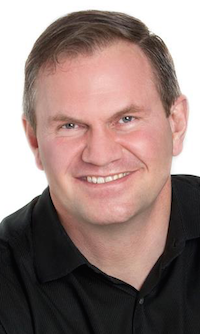 PC MLA Jeff Johnson was unseated by NDP candidate Colin Piquette in this year’s provincial election, with the future of the university being a key issue for voters in the area. 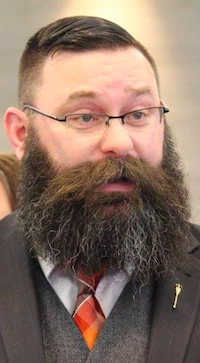 The election of an NDP MLA has led locals to believe Mr. Piquette will take action to ensure the university stays open and remains in Athabasca. 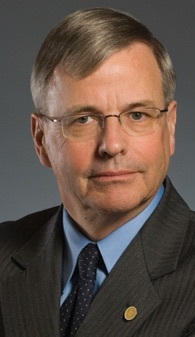 In June 2015, Athabasca University interim president Peter MacKinnon released a task force report on the university’s sustainability, which indicated the institution was facing insolvency in the 2015/2016 financial year. The report blamed over-reliance on tuition fees, the state of its information technology infrastructure, as well as staff compensation and the university’s location, for the university’s financial difficulties. While the task force report focused on alarming terms like ”insolvency,” the university had small surpluses in its 2013/2014 and 2014/2015 budgets. 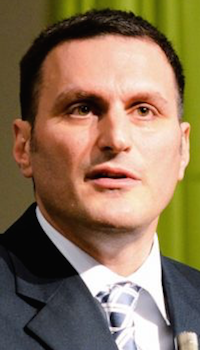 Some observers in the community have suggested that Mr. MacKinnon is playing chicken with the government in an attempt to force new Advanced Education Minister Lori Sigurdson to commit to keeping the university in Athabasca. 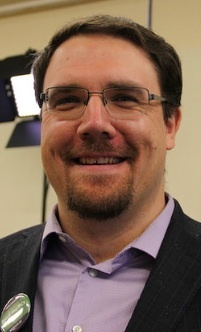 Current Wildrose MLA Jason Nixon was a student representative on Mr. MacKinnon’s task force. In response to the report, the Canadian Union of Public Employees Local 3911, Alberta Union of Provincial Employees Local 69 and the Athabasca University Faculty Association have launched a petition demanding the government ensure Athabasca University and its jobs remain in Athabasca. Politically speaking, it may have been an easier decision for the new government to make if an NDP MLA was not currently representing the area. 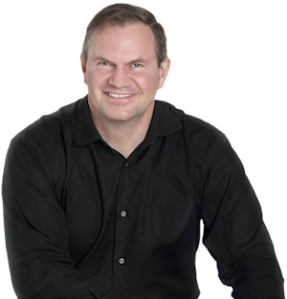 If the constituency had remained PC territory, the NDP would not have to worry about Mr. Piquette’s re-election chances in 2019. Now the NDP government is stuck in an odd position. Even if the new government wanted to relocate the institution, it would not be difficult to reallocate extra funds in the provincial budget to cover the deficits. If the NDP’s first budget is focused on job creation and stimulus, then protecting 400 jobs in Athabasca should be on the list of priorities. The new government also faces the question about what to do with the university’s board of governors after years of controversy. Like several universities and colleges across Alberta, the board is headed by someone with strong political connections to the old governing party. Acting chair Marg Mrazek is a former president of the PC Party. While the Post-Secondary Learning Act gives the government the ability to replace the board, with Ms. Mrazek’s term is set to expire on July 24, 2016 the NDP may wait until that date before replacing the Tory appointee. In many ways, Athabasca University is a microcosm for the challenges of regime change after forty-four years of Progressive Conservative government in Alberta. But Athabasca University may be able to use its NDP connections to apply pressure to the new government. Mr. MacKinnon is the husband of former Saskatchewan NDP MLA and Finance Minister Janice MacKinnon, who served in Roy Romanow‘s cabinet in the 1990s. Premier Rachel Notley‘s Chief of Staff, Brian Topp, was Mr. Romanow’s deputy chief of staff during that period. While the new government has been able to remain coy about the future of the institution in its first four months in office, residents of Athabasca will demand to know what the NDP has planned for their university. They may find out this week when Ms. Sigurdson is scheduled to meet with Ms. Mrazek and Mr. MacKinnon. This entry was posted in Alberta Politics and tagged Alberta NDP Budget, Athabasca University, Athabasca University Faculty Association, AUPE Local 69, Brian Topp, Colin Piquette, CUPE Local 3911, Frits Pannekoek, Janice MacKinnon, Jason Nixon, Jeff Johnson, Lori Sigurdson, Marg Mrazek, Peter MacKinnon, Rachel Notley, Roy Romanow, Thomas Lukaszuk, University of Alberta on September 20, 2015 by Dave Cournoyer. When is the next Alberta election? With the governing Progressive Conservatives selecting their new leader in September 2014, there is growing suspicion that Albertans could be going to polls sooner than expected. 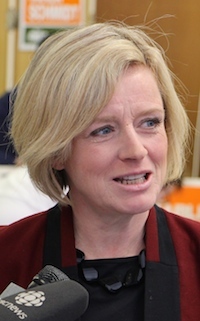 While Alberta’s next strange “three-month fixed election period” is not until 2016, a loosely written law may allow the next premier to trigger an early election. According to Section 38.01(2) of the Elections Act, the next election should take place between March 1 and May 31, 2016, but under 38.01(1), the Lieutenant Governor retains the authority to dissolve the assembly and call an election when he sees fit. This would typically occur when a government loses confidence of the Assembly or when the leader of the government asks him to do so (it would be highly irregular for the Lieutenant Governor to deny this request). By my reading, what the Elections Act really says is that the next election must be held by May 31, 2016, but it could easily be held before that date. And I bet it will be. An early election would allow the next PC Party leader to seek a new mandate from Albertans, highlight new candidates and purge his caucus of deadwood and troublesome MLAs. With expected growth in resource revenues next year, it will be very tempting for the PCs to call an election after tabling a cash-rich provincial budget in Spring 2015. An early provincial election could also conveniently rid the PCs of three potentially embarrassing by-elections in constituencies soon-to-be vacated by MLAs seeking federal party nominations (these MLAs are Len Webber in Calgary-Foothills, David Xiao in Edmonton-McClung, and Darshan Kang in Calgary-McCall). If the next PC leader is Jim Prentice, who currently has endorsements from 45 of 58 PC MLAs, a by-election would need to be held to provide the new Premier with a seat in the Assembly. In the past, when a party leader does not have a seat in the Assembly, a sitting MLA has resigned in order to trigger a by-election. When Premier Don Getty was chosen as PC leader in October 1985, Edmonton-Whitemud PC MLA Robert Alexander resigned so that the new premier would win a by-election in December 1985. Mr. Getty later won a May 1989 by-election after he was unseated in the March 1989 General Election. The Social Credit Party formed government in August 1935 without its leader on any ballot. Seatless Premier William Aberhart ran and won a by-election in November 1935. Wild rumours suggest that Mr. Prentice could wait until the next election to win a seat, perhaps running against popular Liberal MLA David Swann in Calgary-Mountain View (where Mr. Prentice was defeated in the 1986 election). But it is unlikely that he would wait that long or risk challenging a popular incumbent. It is more likely that Mr. Prentice would follow tradition and quickly seek to run in a by-election. It is plausible that former Premier Alison Redford would resign as MLA to trigger a by-election in Calgary-Elbow. The Wildrose Party already has candidates preparing to contest nominations across the province. The party has attracted an early high profile candidate in Sherwood Park, where former Strathcona County mayor Linda Osinchuk has announced she will seek the Wildrose nomination. In anticipation of an upcoming by-election, retired Colonel John Fletcher is seeking the Wildrose nomination in Calgary-Elbow. 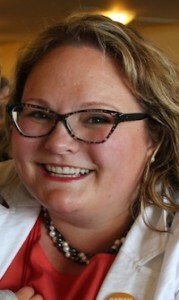 The NDP will nominate candidates Shannon Phillips in Lethbridge-West and Chris Nielsen in Edmonton-Decore on June 17, 2014. 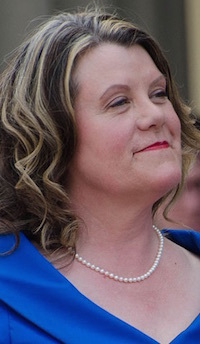 The NDP was the first party to nominate a candidate for the next election months ago when Lori Sigurdson was chosen in Edmonton-Riverview. While no Liberal candidates have been officially nominated, MLAs Laurie Blakeman, Kent Hehr and Mr. Swann have all indicated they plan on running in the next election. To keep track of party nominations, I have compiled a list of official and unofficial candidates planning to stand in Alberta’s next provincial election. Please feel free to contact me if there are additions to the list. This entry was posted in Alberta Politics and tagged 2014 Alberta Progressive Conservative leadership race, 2015 Alberta Election, 2016 Alberta Election, Alberta By-Election, Alison Redford, Calgary-Elbow, Calgary-Foothills, Calgary-McCall, Chris Nielsen, Colonel John Fletcher, Darshan Kang, David Swann, David Xiao, Don Getty, Edmonton-Decore, Edmonton-McClung, Edmonton-Riverview, Edmonton-Whitemud, Elections Act, Jim Prentice, Kent Hehr, Laurie Blakeman, Len Webber, Lethbridge-West, Linda Osinchuk, Lori Sigurdson, Robert Alexander, Shannon Phillips, Sherwood Park, Social Credit Party of Alberta, William Aberhart on June 3, 2014 by Dave Cournoyer. 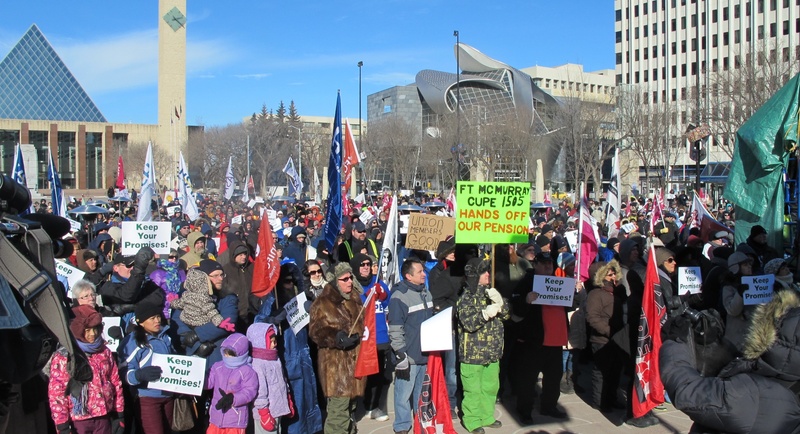 Close to 2,000 Albertans gathered in Churchill Square on March 2, 2014 to rally for secure public sector pensions. 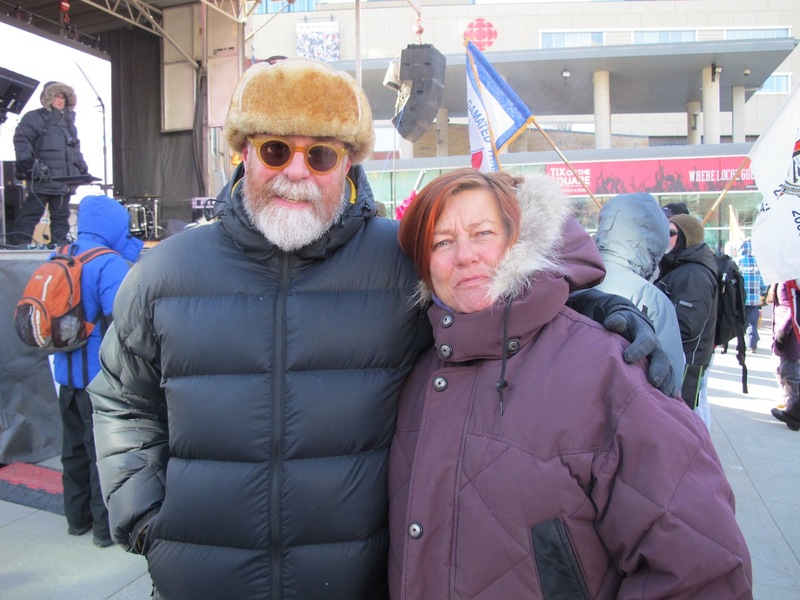 About 2,000 Albertans from every corner of the province braved the -33C windchill yesterday to defend their modest pension plans at a rally in Edmonton’s Churchill Square. Many municipal and provincial employees are concerned that Finance minister Doug Horner‘s proposed changes to Alberta’s public sector pension plans could impact their retirement security. 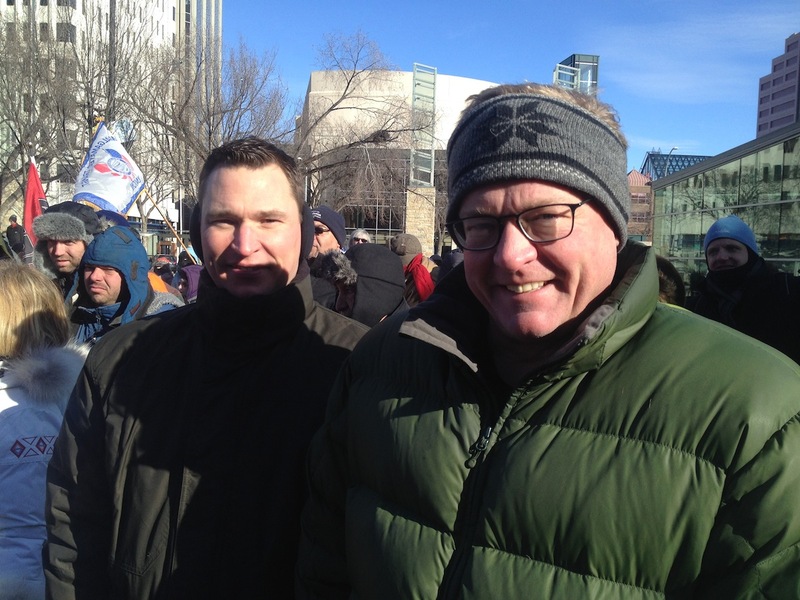 NDP MLAs Deron Bilous and David Eggen show their support at yesterday’s rally. Despite rhetoric about ‘gold-plated pension plans,’ the average full pension under the Local Authorities Pension Plan is only $15,000 per year. Meanwhile, Premier Alison Redford is facing questions about another taxpayer funded flight on a government plane, this time from sunny Palm Springs, California. After receiving a tip about a suspicious record in the Alberta Government Flight Manifests, I asked Ms. Redford on Twitter why a government plane flew empty to Palm Springs and returned to Calgary with her, her daughter and two members of her security detail onboard in April 2013. Blogger David Climenhaga and Liberal MLA Laurie Blakeman at yesterday’s rally. Ms. Redford did not respond to my tweet, but her communications director Stefan Baranski did. 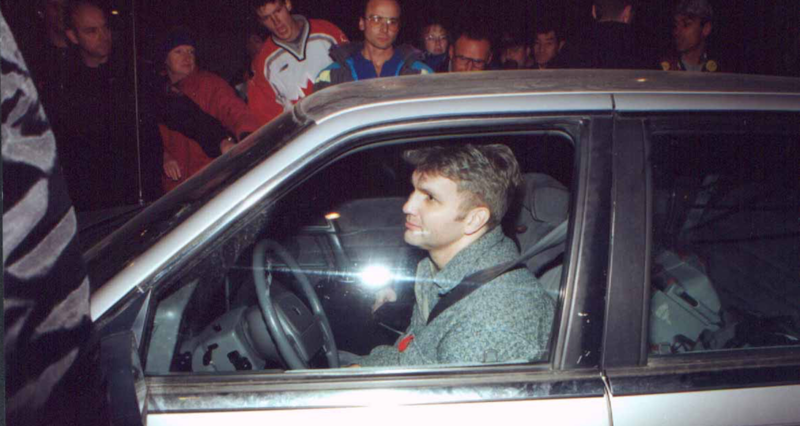 He explained that the flight brought the premier back to Alberta from her vacation home in order to attend former premier Ralph Klein‘s memorial service. While the cost of the $9,200 flight to and from Palm Springs is not as salacious as Ms. Redford’s $45,000 flight to South Africa, it is unclear why the premier did not return to Alberta on one of the many commercial flights available in the six days before the memorial service. Both the Calgary Herald’s Don Braid and the Calgary Sun’s Rick Bell have penned articles in response to Ms. Redford’s Palm Springs flight. A Speech from the Throne will open the spring sitting of Alberta’s Legislative Assembly today at 3:00 p.m. The 2014 provincial budget will be tabled by Mr. Horner on the afternoon of Thursday, March 6. 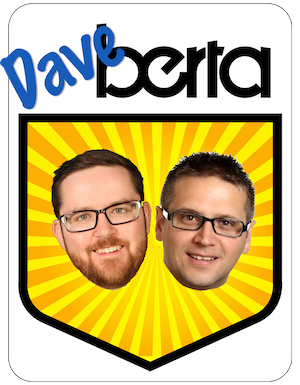 As was first reported last week on this blog, the Alberta NDP will hold a candidate nomination meeting on March 4 in the Edmonton-Riverview constituency. The NDP are expected to nominate Lori Sigurdson, manager of professional affairs with the Alberta College of Social Workers, as their candidate. 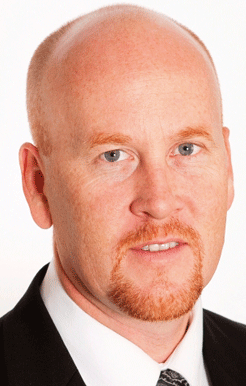 The constituency is currently represented by PC MLA Steve Young. This entry was posted in Alberta Politics and tagged Alberta Budget 2014, Alberta Election 2016, Alberta Speech from the Throne 2014, Alison Redford, David Climenhaga, David Eggen, Deron Bilous, Don Braid, Edmonton-Riverview, Laurie Blakeman, Lori Sigurdson, Palm Springs, Ralph Klein, Rick Bell, Stefan Baranski, Steve Young on March 3, 2014 by Dave Cournoyer. Will MLA Steve Young survive the PC caucus? 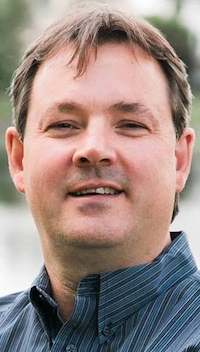 When former cop Steve Young was elected as the MLA for Edmonton-Riverview, it was considered to be a huge coup for the Progressive Conservatives. 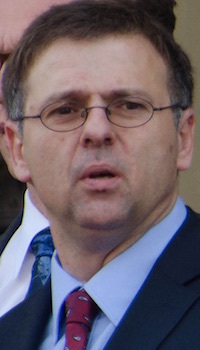 With Mr. Young as their candidate, the Tories succeeded in scooping the traditionally Liberal voting constituency previously represented by popular MLA Kevin Taft. All indications suggest that Mr. Young has worked hard in his constituency since this election and most people who have met him, including this writer, will agree that he is a nice guy. And he had a bright political career ahead of him. 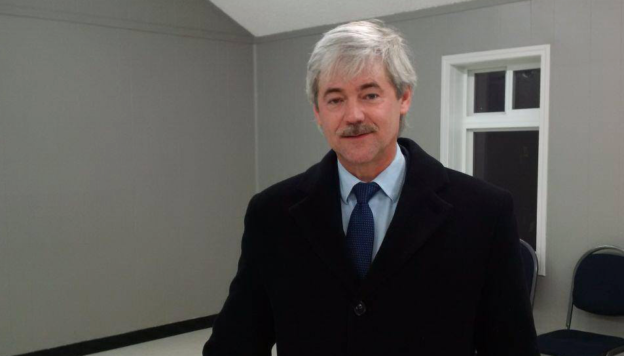 But as an MLA, and during his time as the Government Whip, he has been of mixed value to the governing Tories. Sometimes he has even been a source of embarrassment for the government. 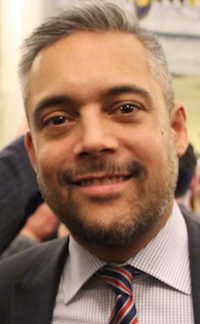 Despite speculation he might be removed from the PC caucus after publicly criticizing Premier Alison Redford for her $45,000 trip to South Africa, he walked away from last weekend’s caucus meeting with his membership in tact. According to the CBC, the RCMP investigated Mr. Young’s and other officers involvement in the release of private information about a young offender as part of a public relations campaign. 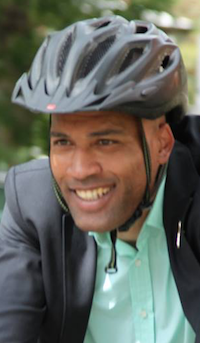 The young offender recently filed a lawsuit against Mr. Young and his former colleagues. Mr. Young was criticized for his handling of a confusion confrontation between PC MLAs and Ms. Redford after the group of backbenchers on an MLA committee voted to recreate the MLA transition allowances that the premier publicly cancelled during the 2012 election. As Government Whip, he helped Ms. Redford deal with the unrest in the PC caucus, but in December 2013, the premier suddenly dropped him from cabinet before he was even officially appointed. One week after announcing that Mr. Young would serve as the Associate Minister for Public Safety, he was quietly removed from the list of ministers at the swearing-in ceremony. It was later suggested that he was dropped from cabinet because his involvement in an incident and investigation involving a taser during his time as a police officer. 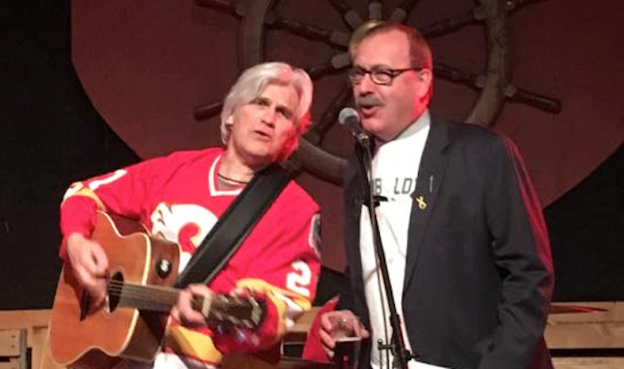 He briefly made headlines during last year’s mayoral election after an unfortunately planned mayor forum was cancelled when it became clear that it was part of a fundraiser for Mr. Young’s Edmonton-Riverview PC association. With the recent news reports about the RCMP investigation during the last election, can Ms. Redford can allow Mr. Young to remain as part of the government? His criticism of Ms. Redford’s lavish travel costs may have bought him some time, but, according to one political insider, his opponents are already building a case to have him ejected from the PC caucus. Next week, the Alberta New Democrats are expected to nominate Lori Sigurdson as their candidate in Edmonton-Riverview for the 2016 election. As their first officially nominated candidate, the NDP hope the early start will help them build on their strong third-place finish in the last election (where Ms. Sigurdson tripled her party’s support in the constituency). With Mr. Young providing more ammunition for his election opponents each day, the NDP (and the Liberals) will have plenty of ammunition to use over the next two years. This entry was posted in Alberta Politics and tagged Alison Redford, Backbench unrest, Edmonton-Riverview, Kevin Taft, Lori Sigurdson, MLA International Travel, South Africa, Steve Young on February 27, 2014 by Dave Cournoyer.